Your first contact with a high-tech Japanese toilet may be a shocking one, especially if you can’t read Japanese. These electronic toilets, known locally as “washlets,” boast so many advanced features they’ve become an internationally-discussed cultural phenomenon. Just looking at the control panel can be an overwhelming, dizzying experience. What are all these strange buttons and what do they do? This post will help you decode all those foreign symbols and uncover the mind-blowing functionality of these high-tech washlets. You’ll also learn how specific Japanese cultural ideals played a driving force in the development of certain features. This button will keep your bum warm and toasty when you’re on the seat. Your time on the toilet is personal. Nobody else needs to know what goes on in there but you. To maintain maximum privacy, there is a “sound” button, usually denoted by a music note, to mask any embarrassing or incriminating sounds. Pressing the button will play a recording of a running water sound, white noise, or sometimes music. Spray that washes your bottom. There are two standard buttons for posterior washing, one of which is a softer spray labeled やわらか. When you are using the bidet or posterior wash, adjust the water pressure to your liking. This is usually denoted by the options high (高), medium (中) and low (低) or strong (強) and weak (弱). Some washlets have an option to adjust water temperature while others don’t. For those that don’t, the toilet will spray warm water by default. For those that do, temperature adjustment is usually denoted by the options high (高), medium (中) and low (低) or strong (強) and weak (弱). Dry yourself after using the bidet or posterior wash. Some washlets have temperature adjustment settings so you can dry yourself with cooler or warmer air. Most washlets will automatically self-sterilize the spray nozzle, but some control panels have a nozzle sterilization button. What is the nozzle exactly? The nozzle is the part that sprays water at you during a bidet/posterior wash. The nozzle retracts back to it’s little chamber inside the bowl when not being used. The deodorizer button will cut odor and leave the toilet fresh and clean for the next user. To flush, you will either see a standard knob, button or touch-free sensor. The important characters to look out for are 大 (big) and 小 (little) which directly refer to flush intensity. You know which flush to choose based on what you did. Check out this cool video showing you all about these wonderful toilets in Japan! 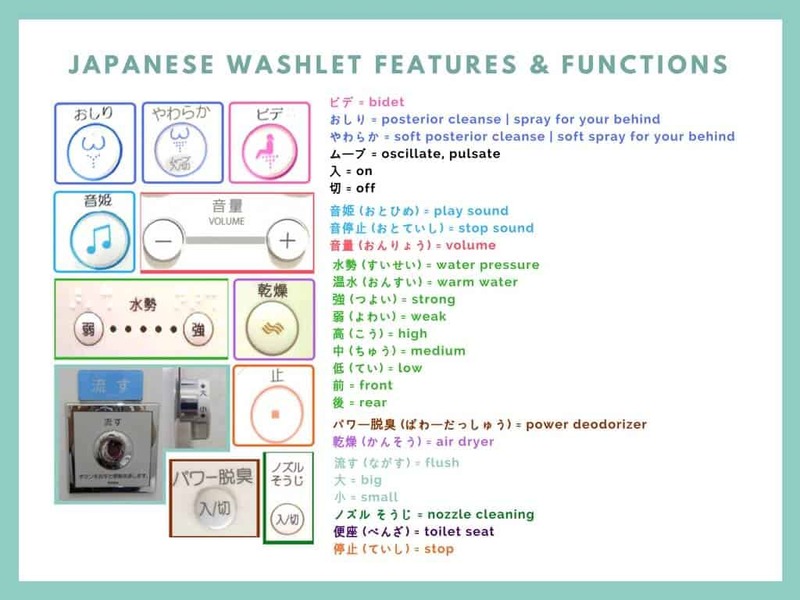 So now that you are familiar with the main functions, you’re ready to embark on your washlet adventure. First things first, if the toilet lid is closed, check to see if there is a button to automatically lift the lid. This is usually denoted by a button with a graphic of the lid and seat. Some models automatically raise the toilet lid as you approach the washlet. Take a seat on your throne. If you’re a first time user, don’t be afraid to experiment. On a brisk, chilly morning, I love to start by pressing the Seat Warmer button (便座) to toast my tush. Depending on whether the washlet has an automatic, built-in heater, the seat could already be warm upon arrival. I personally never use the noisemaker function because I feel like the sound recording is more incriminating than the natural noise of my business. This sentiment is contrary to the cultural ideals of most Japanese women who tend to be embarrassed by any bodily noises. 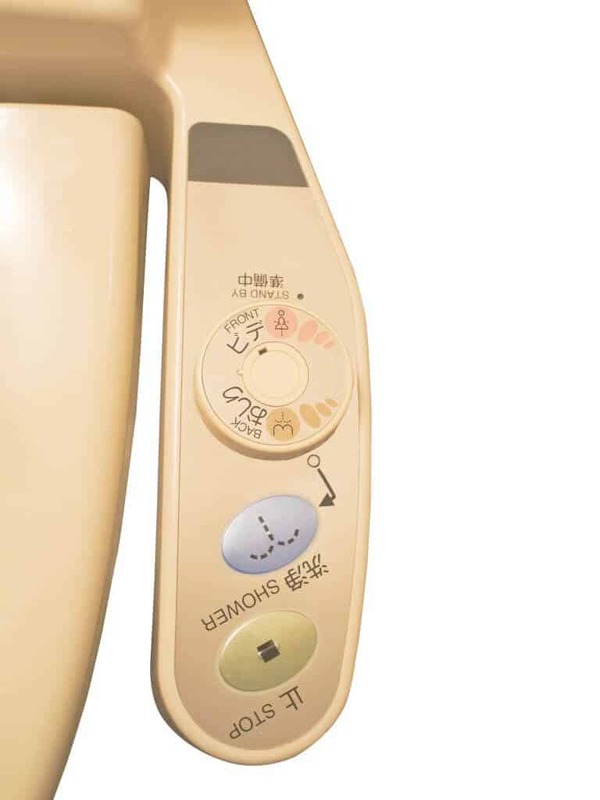 According to the TOTO website, the Otohime (音姫) or “Sound Princess” function was born because women were flushing twice, once to cover up noise and be discreet and another time to flush waste. The noisemaker function is usually depicted by a button with a musical note or a touch-free, motion-activated sensor on the wall. 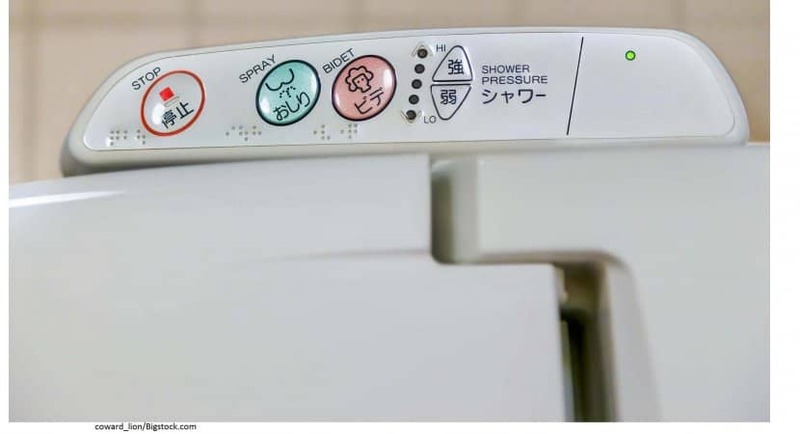 Once you do your business, it’s time to clean yourself with the bidet or posterior wash. Press the oshiri (おしり) or back cleanse button to deploy the spray nozzle. The folks over at Toto have done extensive research and have found the optimal spray angle is 43 degrees, but you may need to adjust the nozzle angle in some models. I suggest starting off at a low (低) or weak (弱) water pressure/temperature-setting and gradually working your way up. If you are feeling daring, try the pulsating or oscillating spray function to break the flow up. Relax and enjoy this part. The bidet and posterior wash eliminate the need to wipe with toilet paper altogether. I suggest taking this time to reflect and appreciate everything this high-tech washlet is doing for you. If at any point you need to abort the mission, press the orange “stop” button (止) to stop the spray. You may be wondering how sanitary the nozzle is due to potential backsplash; I wondered this exact thing myself. The Japanese have thought about every tiny detail when it comes to their beloved washlets. In the spirit of cleanliness, washlet manufacturers developed a self-sterilizing agent to clean both the wand’s interior and exterior. Those that don’t come with an automatic self-cleaning function have a nozzle cleaning button (ノズル そうじ). The last thing you want is damp undies or chafing so when you’re washed and clean, hit that drying button (乾燥) to air-dry your region. Wrap everything up with a big flush (大) or little flush (小), and you’re on your way! Be aware some washlet models have a sink above the water-tank that automatically streams water to wash your hands once you flush. Where can I find high-tech Japanese toilets? You will find them pretty much anywhere: airports, malls, train stations, restaurants, family homes. Most major hotels list English translations for proper use of their electronic toilets. Today high-tech washlets are the norm in Japan. That said, there are public restrooms where you will still find the traditional-style squat toilet. Where can I buy a washlet and how much does it cost? Toto sells washlets worldwide with showrooms in the U.S., Canada and Europe and dealers in 25+ countries. The prices are steep, but it’s expected because you are paying for some pretty nifty technology. Depending on the model and features, prices range from a few hundred to a few thousand dollars. There are several other advanced toilet manufacturers such as Inax, Panasonic and Brondell. The high-tech washlet was designed in the spirit of promoting and enhancing personal hygiene. The Japanese are extremely passionate about cleanliness, as displayed in features like the self-sterilizing nozzle. They also take pride in their modesty, privacy and respect for the elderly. I can’t help but to think how wonderful the high-tech toilet is for Japan’s aging population and anyone with injuries or disabilities. The washlet serves a practical application across the board, but is ESPECIALLY convenient for anyone with physical challenges. Japan has the oldest population and one of the highest life expectancies in the world. Over a quarter of Japanese citizens are 65+ years of age. The Japanese government predicts this number will grow to 40% in the next few decades if everything remains the same. While this will surely create economic problems in the country, at least Japanese seniors have access to super toilets to make their lives easier as they age. 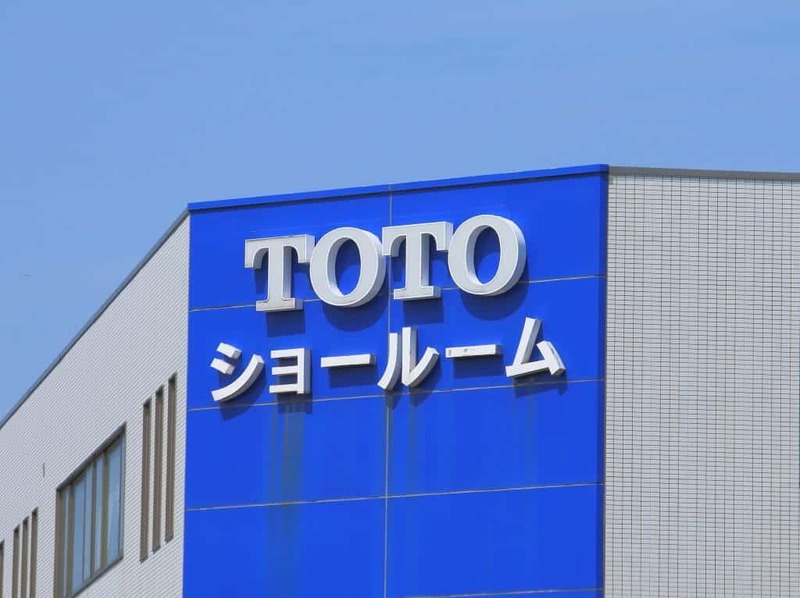 Last fall, Toto, Japan’s leading toilet manufacturer, opened a $60 million museum in Kitakyushu to celebrate and pay homage to their globally-renowned washlet. For nearly 100 years, Toto has disrupted the plumbing-technology industry to uphold their mission of delivering “a healthy, cultural lifestyle to the Japanese people.” The company, which thinks of itself as the “Apple of toilet tech,” created the museum to educate visitors on the evolution of washlets, toilet culture and their plumbing philosophy. Both Toto and Japan’s excitement to promote their revolutionary toilet technology doesn’t stop there. An exhibition called “Gallery Toto” opened in Narita International Airport last spring. The showroom, which is located in the passageway between Terminal 2 and the terminal anex, was specifically built to appeal to foreign visitors. The exhibition features a set-up of 9 bathroom stalls and a nursing room, all decked out with the latest toilet technology. The high-tech toilet is a cultural experience you must try when in Japan. Once you get over the initial shock of the control panel buttons and test out the features firsthand, you may even become a convert. It’s also fascinating to uncover just how much the Japanese have put into personalizing and optimizing their toilets to reflect their cultural values of cleanliness, modesty and efficiency. 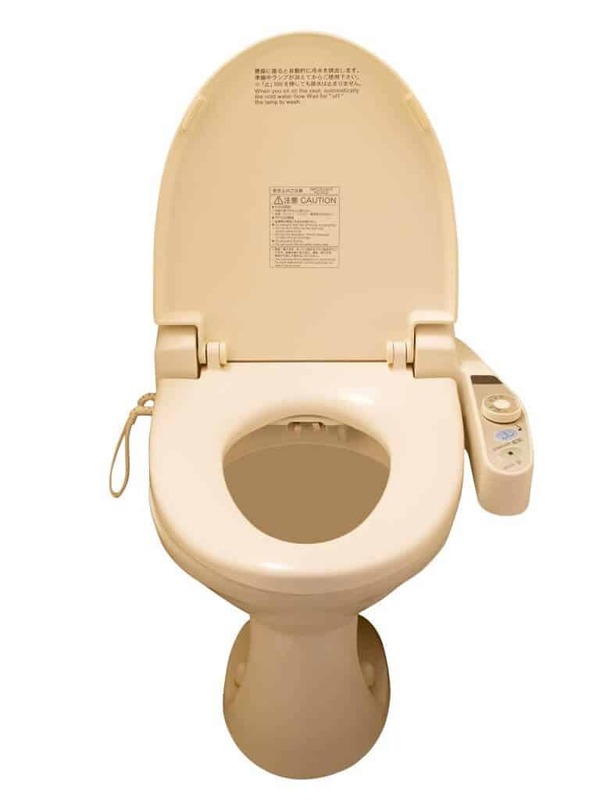 Do you have an entertaining story about the first time you used a high-tech Japanese toilet? If so, we want to hear! Also, if you found this information helpful or have additional insights to add, please share and help us spread the good word. The potential of a high-tech Japanese toilet can only be realized if people use all the magic it has to offer. Amy Murch is a Japan-born, half-Japanese blogger living in California. While raised in the United States, Amy spent every summer of her childhood and adolescence with her extended family in Amagi, a small town outside of Fukuoka. She is an avid traveler with a deep love for Japanese cuisine, stationary and photography. When Amy isn’t doing sales and business development for tech startups she enjoys blogging about Japan and her other travel adventures. Can we get these toilets in India. The first toilet I “experienced” in Japan was an old squat style one. Didn’t know which way to face. Then I encountered my first high-tech bidet and thought it was the greatest thing ever invented! Loved them so much I installed one in every bathroom in my home.